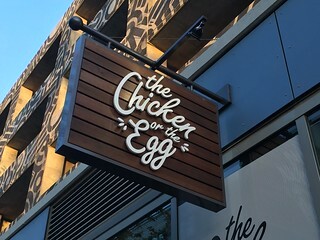 I recently attended a pre-grand opening party at the Chicken or the Egg in Playa Vista. If you haven’t been to Playa Vista before, it’s an interesting mixed-use development situated between Westchester and Playa Del Rey. 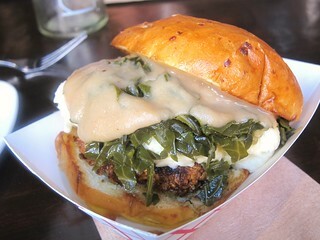 The concept is the creation of Hunter Pritchett (Waterloo & City, Mendocino Farms, Son of a Gun) and Sean Krajewski. The name, Chicken or the Egg, represents a restaurant that serves breakfast egg sandwiches, salads and dishes that include fried chicken. 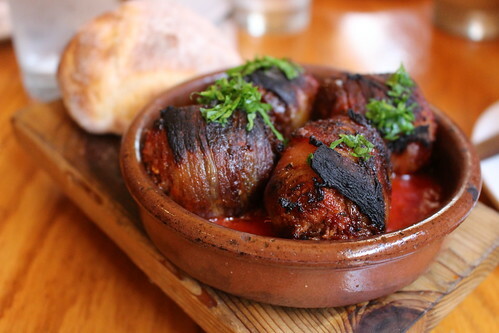 In addition, their ingredients are sourced locally from suppliers that have sustainable processes. The restaurant interior is urban with a clean minimalist appearance. The design fits in well with the office buildings situated nearby. 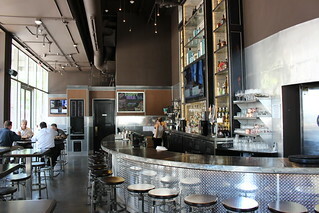 Both bar and table seatings are available. There were a couple of indoor trees which offset the stark interior. I was able to sample a few items that evening. 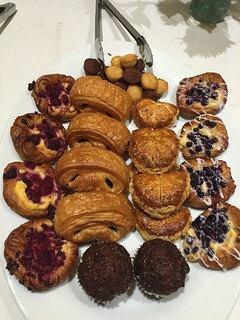 A delicious assortment of baked good awaited us. These were just baked and were warm and tasty. The area near Fenway isn't just for sports bar. 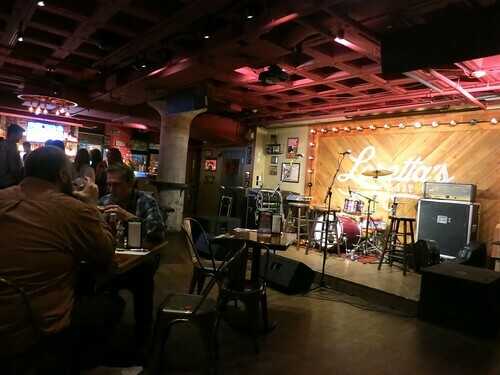 If you're looking for something different, head to Loretta's Last Call for some Southern food and live country music. Tater tots? Arancini? Who needs either of those when you have these, bacon and cheese grit fritters! 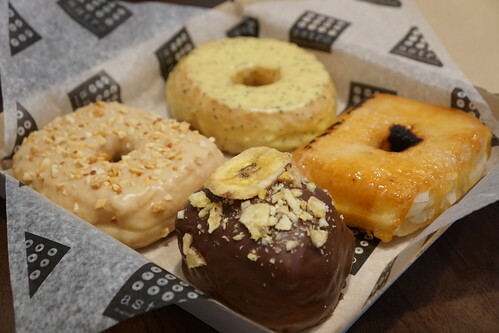 Angelenos already know the name Jeff Mahin from the great burrata and pizza at Stella Barra (and DC and Maryland folks are familiar with his Summer House Santa Monica), but few have been lucky enough to try his donuts. 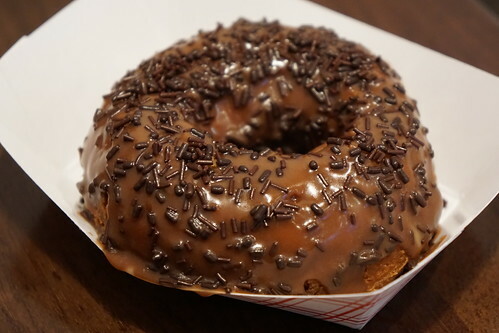 Jeff Mahin's Do-Rite Donuts are currently only in Chicago, unfortunately for those of us who don't live there. My favorite donut there so far: Cinnamon crunch raised donut. 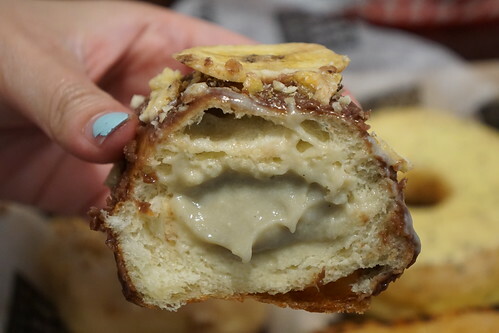 This donut has layers of cinnamon streusel hiding within! The raised dough itself had a great texture that I really liked, but the key for me, a cinnamon lover, is obviously all the cinnamon streusel I keep discovering with each bite. A nice, filling sandwich for only $5.99. The chicken was tender and the breading was really crispy. 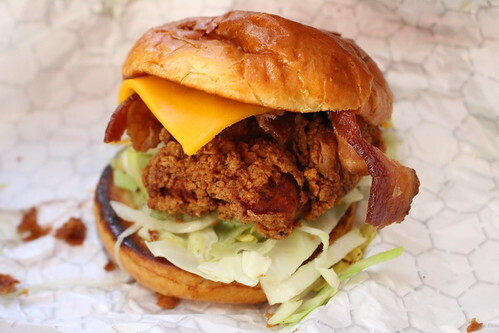 Even with the fried chicken and crisped bacon, the sandwich wasn't greasy and nicely held together by the buttery brioche bun. 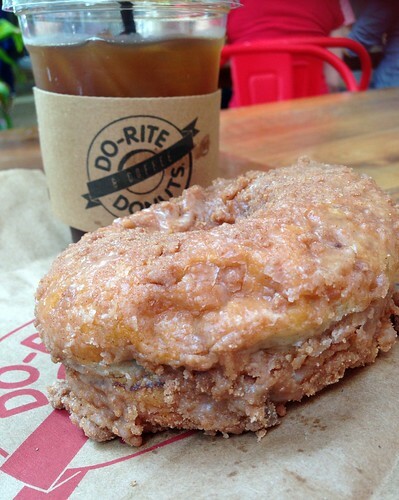 Oh, they also have fried chicken sandwiches using glazed donuts as buns, if you are so inclined! I almost missed my flight out of Chicago. I almost missed it because I was busy eating fried chicken and drinking slushies at Parson's. 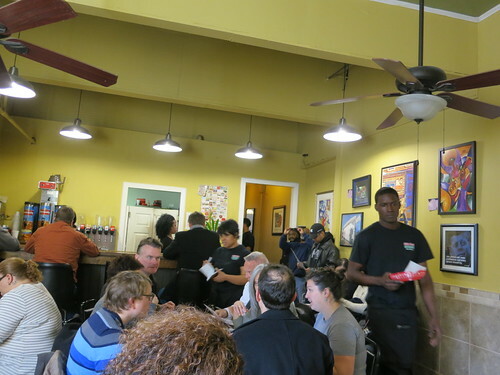 Parson's Chicken and Fish was opened by the team at Longman and Eagle, which you may remember was one of my favorites from previous visits. I'd been hearing about their negroni slushies and decided to stop by on my way to the airport. The place is a fun, colorful, diner. 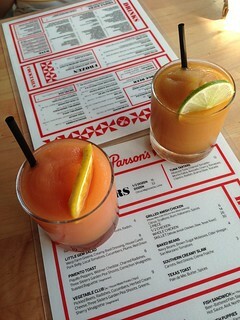 They actually had negroni and dark & stormy slushies, so we got both! They're not just frozen blended to order but actually comes from two slushie machines which you can see sitting on the bar. The two drinks cater to different palates, with the sweeter and zingy Dark and Stormy versus the slightly more bitter Campari taste from the Negroni. Since it's the Longman and Eagle team who opened this restaurant, Conbon asked for her favorite Old Fashioned from L&E and they were able to make it. The name Grainivore certainly doesn't sound like a Singaporean restaurant and who knows why they decided to open up in Koreatown, but there it was. Grainivore is a tiny joint (there is extra seating in a back room, which is connected by an alleyway) serving up combo Singaporean meals on paper plates. You first choose between steamed rice, chicken rice, or coconut rice. 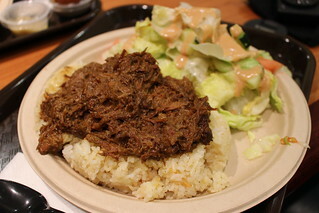 Then, there are four protein choices: Hainan chicken, barbecue pork, shrimp paste chicken, and beef rendang. All the combos are $6.99 except beef rendang costs $2 extra. The place closes at 8pm and when I came around 7pm they were out of the pork and Hainan chicken, so I ordered the beef rendang on coconut rice. 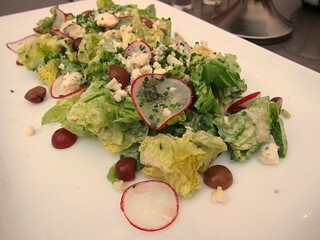 All the combos come with a salad with peanut dressing. A good appetizer to share for a big party is the Pulled Pork Nachos ($10.95): homemade tortilla chips topped with pulled pork, four cheese sauce, bbq baked beans, smoked mozzarella, jack cheese, tomato, red onion, guacamole, and a bbq drizzle. Talk about loaded nachos! 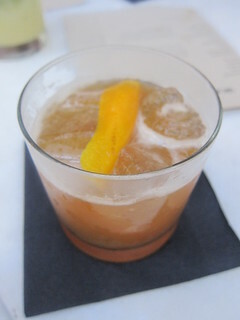 There's a bourbon-focused cocktail menu here with items like Blood Orange Manhattan and Mint Julep. 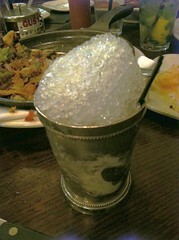 The Mint Julep is served in a proper julep cup with crushed ice. They also have a dozen beers on tap with seasonal selections and some good local selections. 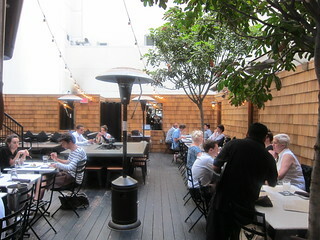 Burger Haven isn't a pop-up, but a restaurant within a restaurant. During the lunch hours, the back part of Haven Gastropub in Oldtown Pasadena turns into Burger Haven, serving burgers, fries, and milkshakes. There are 6-7 items on the menu including the Haven burger, the lamb burger, a veggie option, and Here's the Kicker topped with habanero, serrano, jalapeno, and pickled ghost chili! I tried a bite of this and was dying from the spiciness, but I know quite a few people who would love it! You can see the full menu here. It's like your handheld Southern plate. 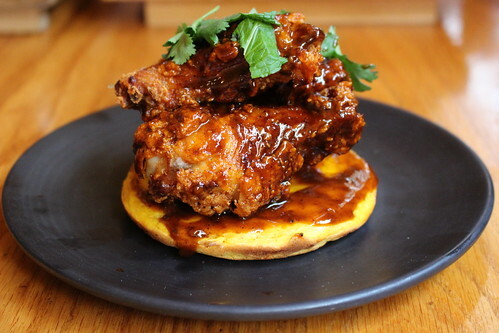 Fried chicken and all the staple Southern sides compacted between two buns. You may have to explain to your boss why you fell asleep after lunch when you eat this, but at least you'll be full until dinner time! 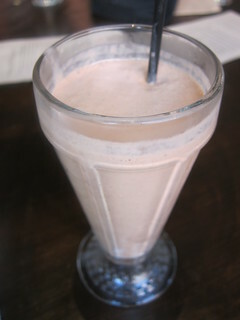 Regardless of how full I was after that fried chicken sandwich, there's always still room for a Nutella shake ($5)! How can you say no to milkshake AND Nutella? I've been invited to many restaurants and food events, but every once in a while something fun and different comes along, like an invitation to Knott's Berry Farm! OK, so the invite was to come to a tasting of their food offerings around the theme park, but I have to admit the opportunity to ride roller coasters was a major draw for me. Knott's Berry Farm isn't just known as a theme park, but their fried chicken and pies were what started the whole enterprise. Mrs Knott's Chicken Dinner Restaurant started in 1934 and attracted so many tourists that they started building shops and attractions around it to entertain waiting guests. So it really was the food that started the theme park! 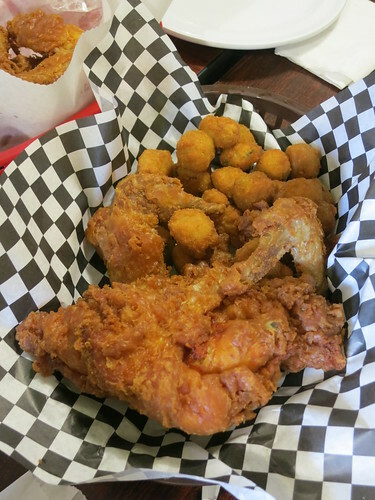 The most famous food here of course is the fried chicken from Mrs. Knott's Chicken Dinner in the MarketPlace area, where they still serve the original recipe from 78 years ago. I actually have never had the fried chicken up until now, despite having lived in LA for almost 10 years. Verdict: they're quite good and hit the spot. During the tasting I also tried the chicken pot pie, which also turned out to be really good. Flaky crust with creamy filling! 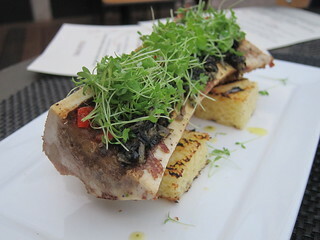 Lexington Social House has gone through a couple of executive chef changes since they opened and have also added nightly specials like Tuesday Pizza Pop Ups and Wednesday Jazz Nights. I was invited in recently to check out the new items and also the Jazz Night. 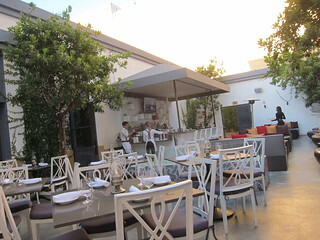 The large back patio is a nice spot for a quiet outdoor dining in Hollywood. The smoked blue cheese was very aromatic! 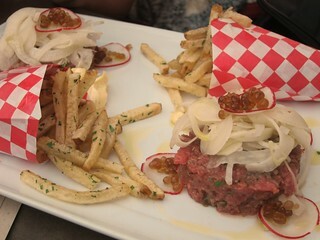 The root beer caviar was a fun touch, but I'm not sure about serving the tartare with french fries. I ended up eating them separately. 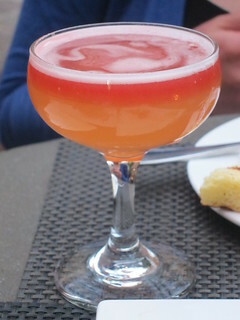 Good cocktails in the heart of Hollywood, for cheap? We're not talking dive bars, here. 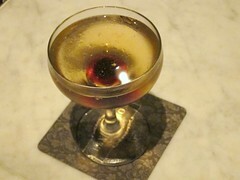 It's possible during Lexington Social House's Social Hour, where all specialty cocktails are priced at $7 on weekdays 6-8PM and all night Sunday. I have a soft spot for McD's sausage egg mcmuffin, but this is (of course!) so much better! Everything you'd ever want from a breakfast sandwich, even if it isn't breakfast time. 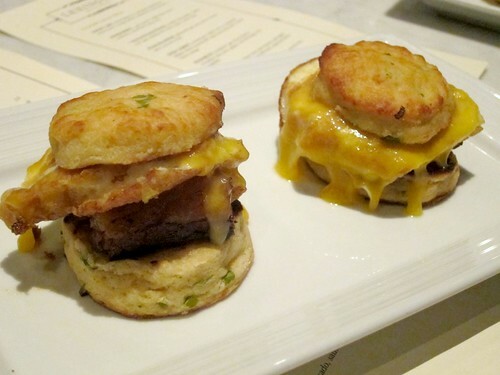 Great buttery biscuits, thick and tender pork belly, fried egg with runny yolk. I will definitely get this again. The cocktail menu was created by barman Kyle Ackley, who used to work at XIV, and the cocktails are quite good and interesting (well, the bottom half. 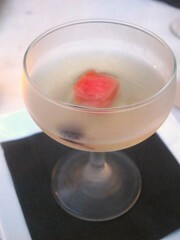 The top half consisted of mainly vodka drinks catered to the usual Hollywood crowd). This refreshing drink is a great one to start the night off with. 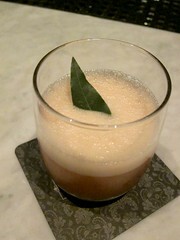 Frothy, velvety, nice light grassy note. One word to describe this would be "rich". Very rich. 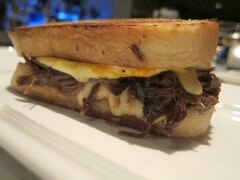 The bottom slice soaks up the juices from the braised short rib and melted cheese. 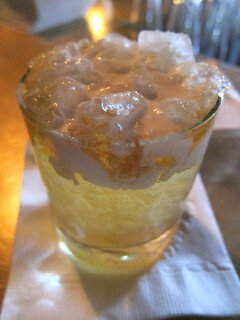 As you lift the glass, you'll get a strong chili aroma, but the drink itself is actually not spicy. Strong and balanced. It was about 90 degrees and 70% humidity, because it always is in the tropical country of Indonesia. The sweat and humidity made our shirts stick to our skin. There's no air conditioning here. That would be too much to expect from a dive called Warung Doyong. Warung refers to a cheap eatery, a hole in the wall if you will. Doyong, on the other hand, means "leaning." And it isn't leaning in the sense of the tower of Pisa (ooh it's a wonder of the world!) but leaning as in the place is about to collapse on itself. Even in these conditions and heat, this place in Bogor is jam packed. The fan on the wall barely helped, so you order a fresh fruit juice or three - lots of ice cubes. What is it that we all came here for? It's none other than the fried chicken. 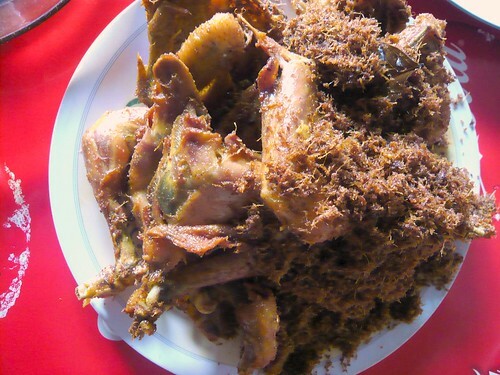 Here, pieces of ayam kampung (the literal translation is village chicken - they roam free, but on the streets, not on a green pasture) are fried en masse in a giant wok, spiced with turmeric, garlic, and all kinds of spices, along with serundeng (spiced, fried shredded coconut). This is a backpost of my visit to Cynthia's on Third Street. 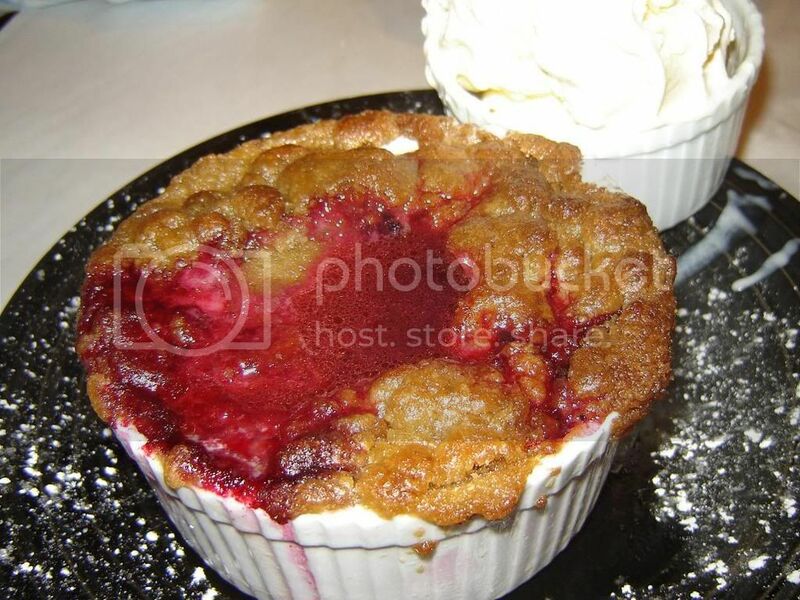 I've been hearing good things about their blackberry crumble and that's pretty much my main reason for this visit. 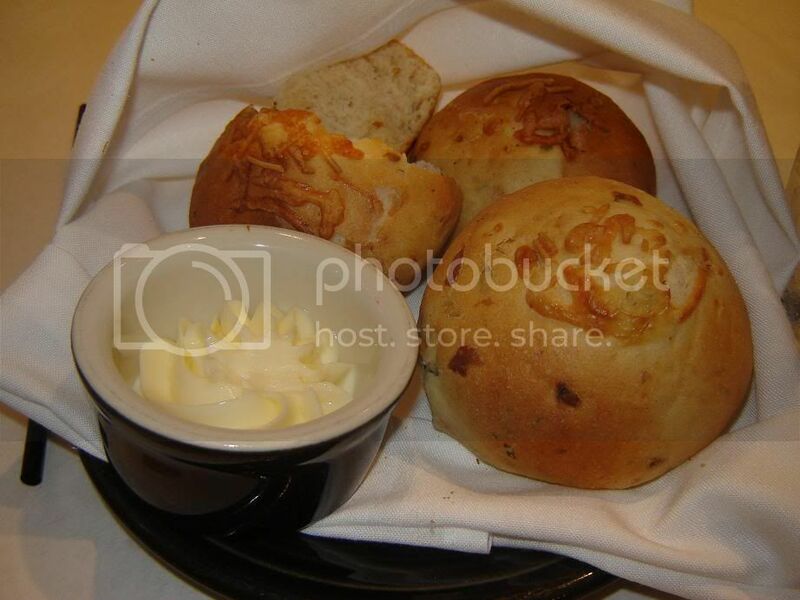 Piping hot bread was served. Bread was decent and since it was hot it tasted even better. 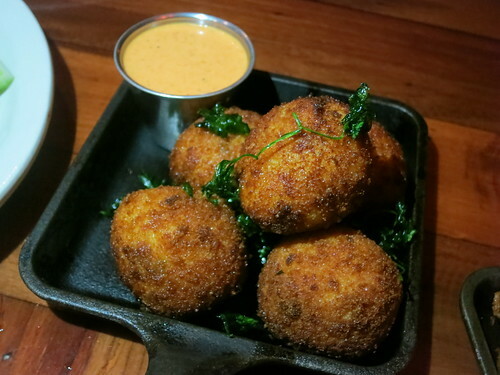 We shared the crab cake appetizer from the Specials menu. 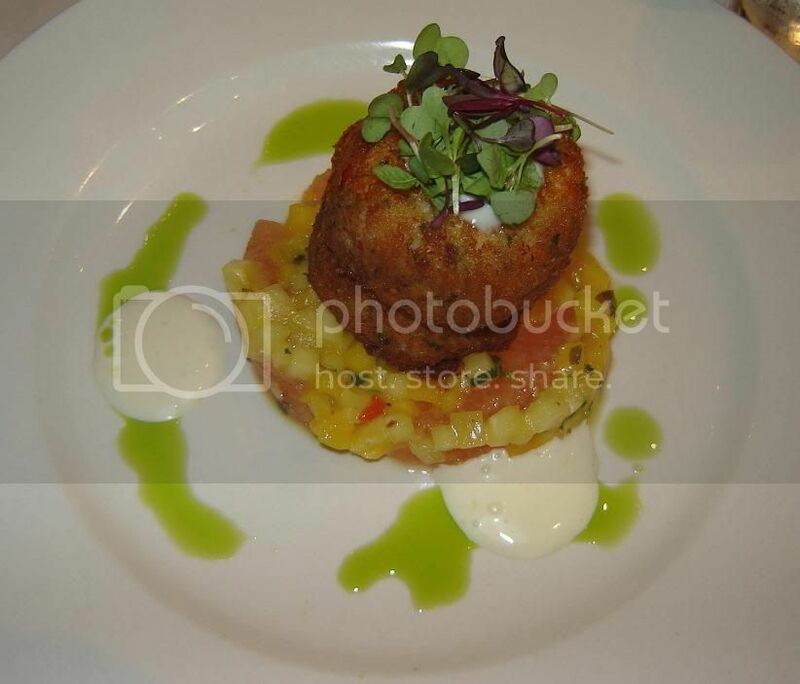 It was served over a bed of mangoes and the sourness really complements the crab cakes. Overall a good dish, though I would've loved more crab in the crab cakes. I, of course, ordered their infamous fried chicken. 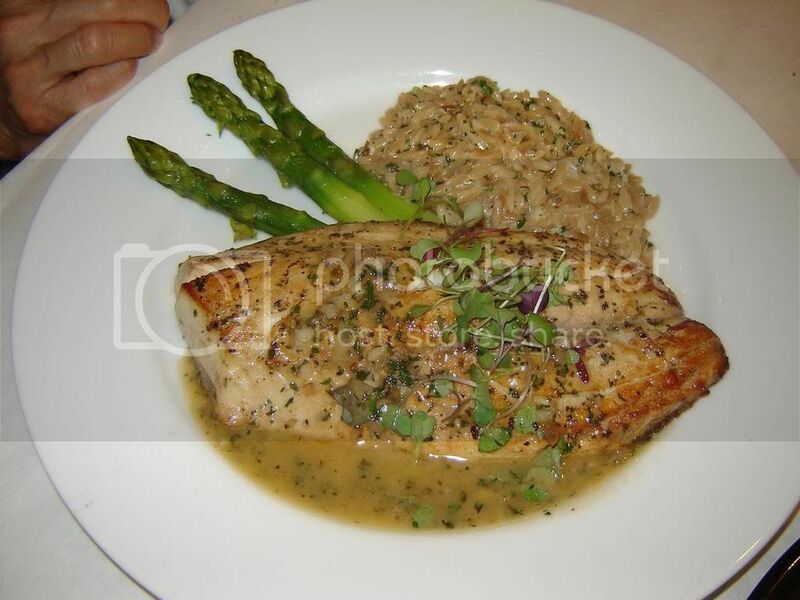 I usually do not order chicken at restaurants (especially breasts) because they tend to be dry and overcooked. But I do love fried chicken and was curious after all the reviews. 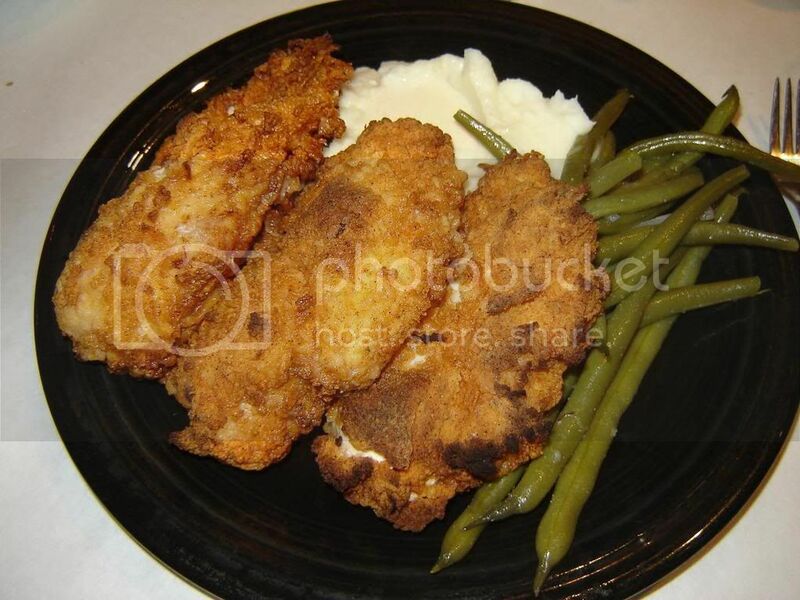 Then came three big, crispy, fried chicken breasts: The mashed potatoes and greens weren't much - I guess they were good but how can they be special in the first place? The fried chicken on the other hand, really was good! Althouth they were chicken breasts, they were tender and juicy since they were cooked properly. The skin was crispy and had a nice texture. If only they didn't put it on top of the mashed potatoes - that made it soggy over time. 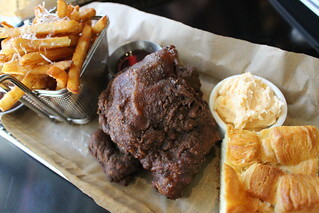 Definitely a memorable fried chicken dish! I unfortunately can't really remember what kind of fish my friend ordered ... I think it was a barramundi, but sorry can't guarantee that that's correct. It was off of their specials menu. Whatever it was, it was delicious! I had a few bites and really liked it. 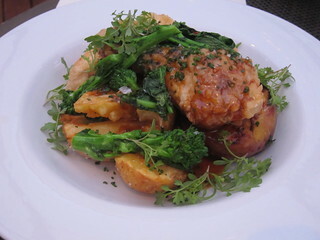 The fish is tender and flavorful and juicy. The flavors were bold, which I like in my fish dishes. It was served with some orecchiete which was also done well. 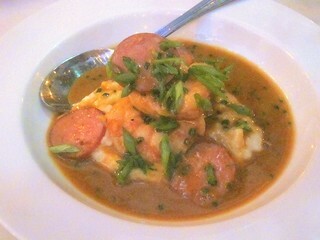 A great dish overall, I wish they would offer it again and again. I'm generally that a huge fan of blackberries (go blueberries!) but I did really like this crumble. Don't know if it's the best in LA but definitely up there somewhere.